This invention has 3 parts with combination of color and our activating ingredient in paint came out with 3 different combination. Our activating ingredient is a paint product. Combo 1. Insulates very good. Has a combination of different colors and our activating ingredient. Applied as: white, Combo 1, white; as one coat. 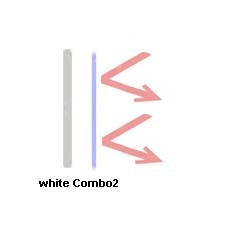 Combo 2. Increases heat and cold inside the room or where it is applied. Has a combination of different colors and is different from combo1 and our activating ingredient. 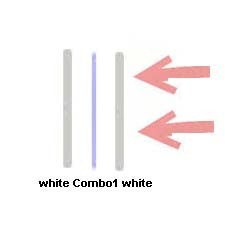 Applied as: white, Combo 2 as one coat to increase heat and cold. 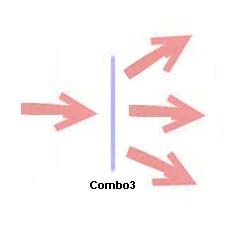 Combo 3. Increases heat only. Has red and different colors and our activating ingredient. 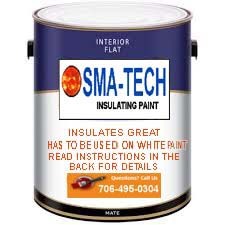 Note: Our activating ingredient is the one that increases the heat effect of the paint by 7 time or more. It is a paint product in itself. There are no strange chemicals in this product and invention. The effect of the paint increases as we increase the amount of the activating ingredient. Do colors live? Of course they do. In our tests we found every color in the spectrum reacts and communicates with each other. Light is color and It has every color in it, to include heat which is an infrared color. Infrared colors cannot be seen with by the naked eye but we can feel it as heat. Infrared colors can be seen with thermal cameras as shiny red heat spots, but we have also figured out a way to see it in color like day time light. This is another one of our inventions and patents. We know colors very well because we have been studying them since 2000 and we know how they react to each other and what they do to each other. Certain colors affect the heat in certain way. Some increases the heat, some lowers the heat. The heat is an infrared color. Colors react to each other and to heat in different ways; dark colors draw heat; light colors block heat. If you paint indecent light bulbs with red, it will increase the heat of the light bulb. In the desert, Bedouin wear black overalls and logic states they should have been over-heated, but in actuality they are very cool and comfortable because they wear white clothing underneath the black clothing and the white blocks the heat of the black. In our tests we have found out if you put white under black, it blocks the heat better than just white. A combination of certain colors insulate very well and a combination of certain colors increases the heat and cold. We are able to increase the heat and cold about times and moreover we are able to block the heat almost 100%. In our tests, our heat blocking combination- combo 1, insulated as good as 6 inches of spray foam insulation and in our tests we saw our heat and cold increasing color formula-combo 2 increased the heat and cold by 7 times. It is possible to increase it more by playing with the amount of paint colors in it and by increasing the amount of our activating ingredient. We added our heat increasing formula, Combo 3, in see-though glass and painted a glass with it. We realized it increased the heat 7 times by holding it on the siding during winter. After testing the heat amount on the siding with digital thermometer, we saw the siding that was not under the glass was 32 degrees, and the part under the glass was 230 degrees showing a 7-times increase. It is possible to increase it more. In an experiment, we put two Styrofoam coffee cups side by side; painted the inside of one with our paint, combo 2, put 3 ice cubes in both of them and placed lids on them. The ice in the cup that did not have our paint completely melted in one and a half hours verses the cup that had our paint which completely melted in seven hours! We have painted a big cardboard box with combo 2. And put a heat lamp in it. The heat in the box went up 220 degrees In 5 minutes! Our partner and inventor, Ali Osman, painted the inside of a bread bakery oven in Turkey with combo 2. The baker swears he is only using 1/3 of the fuel, he used to use to bake bread in his oven. We painted a pair of socks with combo 2 and our socks warmed up so much in 5 minutes we couldn't even wear them any longer because of the heat. We also used our formula in food coloring and realized that if we add our combo 2 formula in food colors in beverages, they stay warm and cold a lot longer. 1. This invention can be used on the metal roofs, under wood roofs and instead of spray foam Insulation. The more layers applied, the better the insulation. We have found three layers of the insulating combination- combo 1 paint insulates as good as 6 inches of spray foam insulation. 2. We have painted walls and ceilings of a room under the attic with combo 1 and it was as good as if we insulated the room with 6 inches of spray foam. 3. We have painted the ceiling of a room with our insulating paint combo 1 and walls of the same room with our heat and cold increasing paint combo 2 and realized the walls reflected back the heat and cold by two fold. It is possible to make the walls reflect the heat and cold by 7 times more or more by adding more activating ingredient in it. 5. We can paint rooms with combo 2 and with a heat lamp in the rooms it is possible to heat the whole room with just a 60 or 100 watt heat lamp. 6. We can build a new type of infrared heater by multiplying the heat many times and with very low cost or by multiplying the heat that comes in the building from outside. We can heat the whole building with no costs. 7. Cars painted with our product makes them stay cooler. 8. Swimming pools bottoms painted with our product makes them heat up faster. 9. Insulating pipes (heat pipes) with our product makes roof water heaters heat the water quicker! 10. Paint tents with our product and to improve insulation. 11. We can paint our clothes with it and with every theen layer of clothing we can stay hot, or cool. 12. Use product inside thermoses, freezers, coolers, coffee cups will make the heat and cold last at less 5 times longer. 13. If we add combo 2 formula in food colorings, beverages stay warm and cold a lot longer. 1. 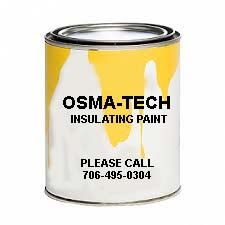 Using this paint instead of spray foam is cheaper. It does not have any chemicals in it. All of the additives in our product are paint additives used to make paint. There is nothing in it but paint. These additives can be used with any kind of paint to include environmental friendly paints (Green paints). It can also be sprayed under roofing shingles, so the shingles will insulate themselves! 2. In old buildings with bad insulation, we can paint and insulate very inexpensively, insulating the whole house or individual rooms. 3. We can insulate rooms and/or objects and make them reflect back the heat and cold which will make your heater or A.C. run 7 times more efficiently. 4. With our product we can paint glass, Plexi-Glass covers and see though blinds and warm the house with just the sun’s heat by an increase of 7 times during winter! We can make double sided blinds, one with our heat blocking formula and one with our heat increasing formula. By utilizing the one side block the heat during summer and the other side can increase the heat during winter. 5. It is possible to make any oven heat up or a freezer chill a lot faster, which would reduce the heating and cooling cost tremendously. This product can be use in any heating, cooling and protective coating projects; possibilities are endless! Page created at 2019-04-25 0:00:34, Patent Auction Time.